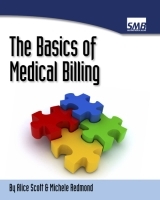 Medical Billing Glossary - Learn the Jargon! This medical billing glossary explains most of the terms you'll come across in your path to becoming a billing specialist. Account Number: An identifying number for a patient in order to track medical visits. Usually the account number is automatically assigned by the medical office's computer system. Allowed Amount/Alowed Charge: The amount that the insurance company allows to be paid to the provider. This amount is rarely the actual amount charged by the provider. Ancillary Services: Services rendered by the healthcare facility that are separate from the food and accommodation. These are usually only in the inpatient hospital setting. 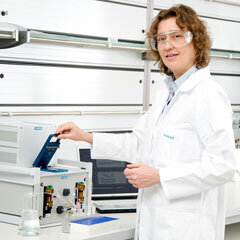 For example: laboratory tests, surgical services, physical therapy, etc., are all considered ancillary services. Applied to Deductible: When a service is applied to the deductible, it means that the patient has to pay for the service in order to meet their deductible amount. 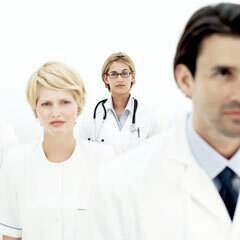 Assignment of Benefits: Insurance fees which are paid directly to the healthcare provider rather than to the patient. Balance Billing: The amount doctors charge patients after the patient's insurance and health plans have paid. This is not typically allowed per the provider's contract with the insurance company, but may be in special circumstances. Beneficiary: An individual covered by health insurance or who receives other benefits. Benefit: The payment that the insurance company agrees to send to the provider for services rendered. CDHP/Consumer Driven Health Plan: A health insurance plan that combines a high deductible with a tax-deductible or tax-advantaged savings account used to help pay the deductible. Charity Care: Free medical care given to patients in financial difficulty who cannot afford to pay. Claim: A medical bill sent to an insurance company, sent on a standardized form. Claim Control Number: A number assigned to a claim that is used to process the claim. Claims Inquiry Form (CIF): A form used for tracking a claim or when requesting an adjustment. Claim Scrubbing: The process of cleaning claims to make sure they contain all the necessary data elements so that they will be accepted by insurance companies. Usually performed by a clearinghouse. Clean Claim: An insurance claim that is completed with all the necessary information for the insurance company to process it. Clearinghouse: An online interface which receives claims from providers, scrubs them to make sure they are clean claims, and sends them in batches to insurance companies. CMS-1500: Claim form used in outpatient billing to send claims to insurance companies. Coding: A system which assigns unique numerical codes to medical procedures, diagnoses, supplies, and services for tracking and billing purposes. Coinsurance: A type of patient financial responsibility, in the amount of a percentage of allowed charges. Collection ratio: The amount of money owed on a patients account versus what has been paid so far. Coordination of Benefits (COB): When a patient has more than one insurance plan, determining which insurance will pay first and which will pay second. Copayment/Copay: A specified amount of money the patient must pay at each doctor's visit. This fee is usually a small amount, and the patient must pay it each time they see the doctor. Copayment amounts vary depending on the type of provider the patient is seeing. Covered Benefit: A charge that the insurance company considers payable under the patient's insurance policy. CPT/Current Procedural Terminology codes: A coding system used to describe what medical procedures a patient has been given. Date of Service (DOS): The date a patient was treated. This can be a range of days or a single date. Day Sheet: A roster of daily business and billing transactions. Day sheets provide important information about the daily charges and receipts, useful for practice analysis. Deductible: A specified amount of patient responsibility, usually hundreds of dollars. The patient must pay this amount for covered charges before the insurance company begins to pay for the charges. Downcoding: A way of reducing an insurance payment by paying one level lower than the item originally billed. Due from Insurance: The amount of money owed by the patient's insurance company. Due from Patient: The amount of money owed by the patient. Durable Medical Equipment (DME): Physical medical equipment such as crutches and wheelchairs which can be used over and over again. Electronic Claim/EDI Claim: Insurance claim submitted electronically over the internet through a clearinghouse. Explanation of Benefits (EOB): The information an insurance company sends a patient after the patient has received medical treatment. It details the amount charged, how much of that the insurance company is approved to pay, the amount already paid, and what the patient owes. An explanation of benefits is sent to both the patient and the provider's office from the insurance company. Group Name: The name of the employer group or plan which the patient is insured by. Group Number: A number assigned to an employer group, used by insurance companies for reference when processing claims and verifying patient eligibility. Guarantor: Another term for insurance subscriber. Heathcare Provider/Practitioner: A doctor, hospital, or other any other type of facility which provides medical services. Health Maintenance Organization (HMO): A type of insurance plan that pays for medical services provided by a specific group of providers. HCPCS/Healthcare Common Procedural Coding Codes: A set of codes used on claims, which detail supplies and services that are not included in the CPT code set. Also known as Level II Codes. HIPAA: Health Insurance Portability and Accountability Act. Federal standards for protecting the privacy of patients. This Act also includes setting standards for protecting the integrity of electronic medical data. ICD-9/International Classification of Diseases, 9th Revision Codes: A numerical or alphanumerical code given to specify a patient's diagnosis. Used by medical insurance companies to determine the medical necessity of services provided. ICD-10/Internation Classification of Disease, 10th Revision Codes: Alphanumerical codes given to specify a patient's diagnosis. Although in use throughout Europe, these codes are not yet used in the United States. Inpatient: When a patient is formally admitted to medical care in a facility, such as a hospital stay longer than 1 day. Medical Record Number: A unique number that identifies a patient. May also be referred to as a chart or account number. Medicaid: An insurance program provided by the US government, providing coverage for families with low income and few resources. Dually funded by the federal government and individual states. Medicare: A federal government program of medical care granted to all U.S. citizens over the age of 65 or those who are medically disabled. Medicare Approved: Medical services which Medicare pays for. Modifier: In CPT and HCPCS coding, a number that changes the description or adds more information to a procedure, supply, or other service. Non-Covered Charges/Services: Part of a medical bill that isn't covered by the patient's insurance. This amount is applied directly to the patient's balance. NEC: Not Elsewhere Classified. A term in diagnosis coding which means that the code has more information to code the condition than the ICD-9 Coding manual allows. NOS: Not Otherwise Specified. A term in diagnosis coding which means that you do not have any more specific information available to code the diagnosis. NPI: National Provider Identifier. Given to each provider or medical facility/office that bills for services. Out-Of-Pocket Maximum: The maximum amount of money the patient has to pay themselves. There are yearly and lifetime out-of-pocket maximum amounts, depending on the patient's medical insurance policy. Outpatient: Medical treatment lasting less than 24 hours, normally in a doctor's office or outpatient facility. Examples include x-rays, simple surgeries, and blood tests. Outside Collections Agency: An agency employed by a provider's office to resume collections on a debt that is considered bad or uncollectable. This agency can perform skip-traces on a patient in order to locate them, as well as report their unpaid debt to credit agencies. Patient's Financial Responsibility: The total amount of the medical bill that the patient is responsible for paying. Patient Type: A way to classify patients, such as outpatient, inpatient, etc. Payer of Last Resort: When a patient has more than one insurance company, the insurance company that will always pay last, after all other insurance policies have processed the claim. Place of Service (POS): The location where patient services were performed, such as office, inpatient hospital, emergency department, etc. Used for insurance billing purposes. Point-of-Service Plan (POS): A flexible insurance plan which allows patients to choose their healthcare provider without the need for an initial referral from their primary care doctor. Policy Holder: Another term for insurance subscriber. Primary Care Physician (PCP): A physician who provides the initial healthcare for a patient and who coordinates referrals to outside providers and specialists. Usually part of a family or general practice. Primary Insurance: When a patient has more than one insurance coverage, the insurance plan that will ay first. Remittance Advice (RA): Another term for Explanation of Benefits. Provides information on how the claim was processed, sent to both the patient and the provider by the insurance company. Responsible Party: The person who is responsible for paying the medical bill. Scrubbing: A computer guided editing process to make sure that a claim has all the right information, such as valid diagnosis codes, before it is submitted to an insurance company. Secondary Insurance: When a patient has more than one insurance plan, the insurance that will pay second, after the primary insurance claim has been processed. Signature on File (SOF): A notifier on an insurance claim which tells the insurance company that a patient or provider has signed all necessary paperwork in order to send and receive payments for a claim. Subscriber: The person who pays for the insurance coverage, usually through a group employer plan. This person is also referred to as the Guarantor, Policy Holder, and Insured. Supplemental Insurance: An insurance policy which covers gaps in payment by any of the patient's other insurance policies, such as Aflac or Medigap. Tertiary Insurance: When a patient has three insurance plans, the insurance that will pay last, after the primary and secondary insurances have processed the claim. Type of Service (TOS): A description of the healthcare service rendered. UB-04: The standardized claim form for use by inpatient hospital billing. UPIN: Unique Physician identification Number given to each physician providing services paid by Medicare. V-Codes: A type of ICD-9 code which identifies encounters for reasons other than illness or injury, such as wellness exams and relevant patient history codes. See also: guide to basic medical terminology to how words are constructed.